Pokémon GO has taken Singapore by storm, and it couldn’t have come at a better time. 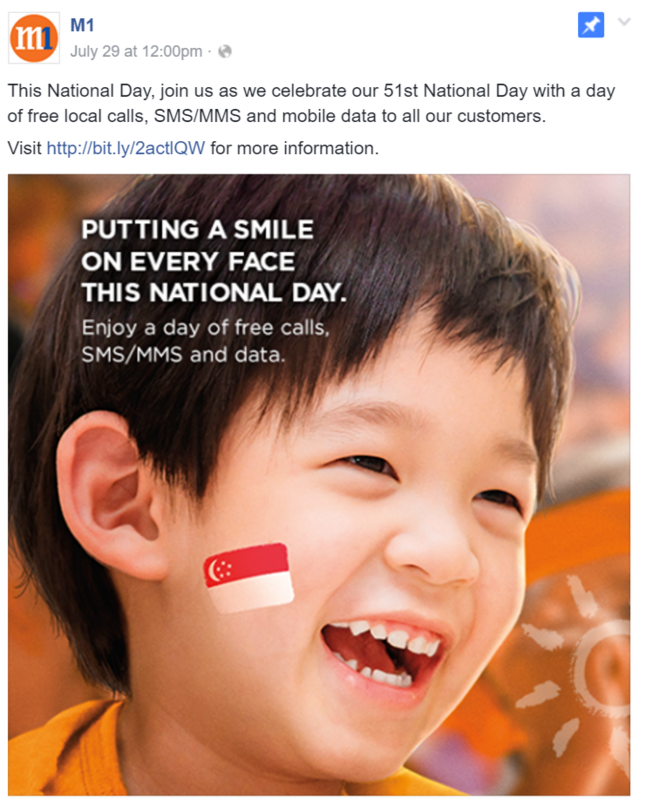 As with every National Day, telcos in Singapore are giving out free use of services, and the one thing that Singaporeans usually look forward to is of course free mobile data. And of course this year, they did not disappoint as well, and boy did something huge happen to make that free data a lot more exciting because last Saturday Pokémon GO descended on our shores. We’ve earlier covered all of them before, but here’s a roundup now that this new development has taken place. 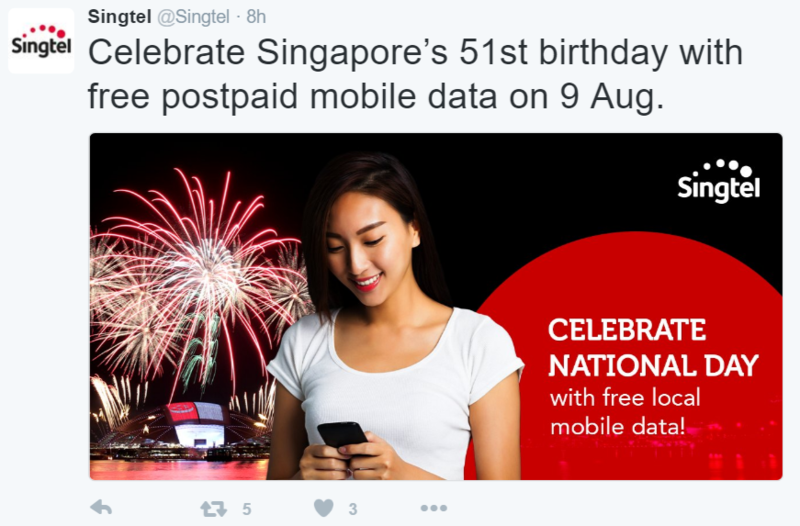 For postpaid users of Singtel, say hello to free mobile data all day on 9 August (from 12.01 am to 11.59 pm). M1 has decided to go with free everything as users will be able to enjoy not just free mobile data, but also free local calls, SMS and MMS (if you still use them), with subscribers to their Mobile Boradband service also enjoying free data as well. The free service will come into effect from 00:00 hours on 9 August 2016 to 23:59 hours. Starhub though is taking a slightly different approach. Instead of just a one day promotion of services, they have decided instead to offer an additional 1GB of data to all postpaid users for the month of August. 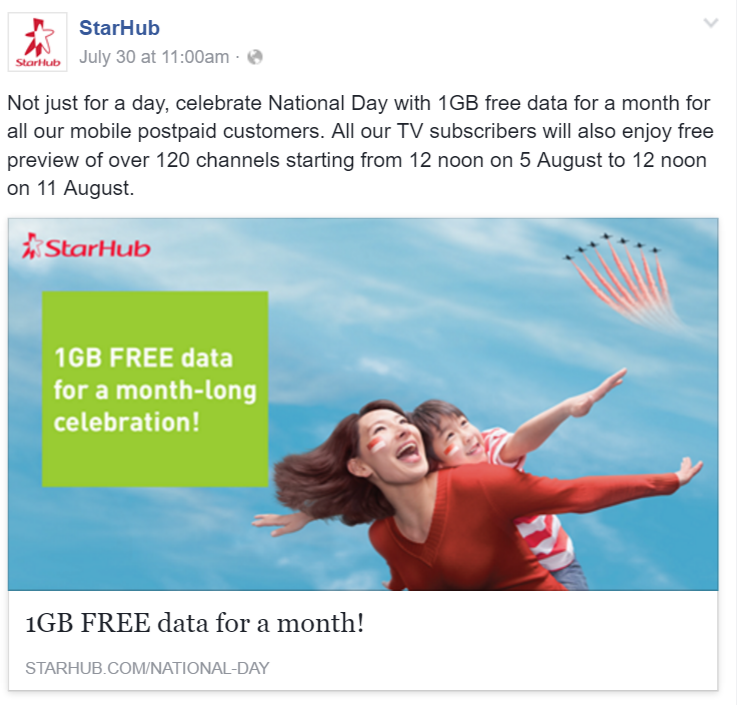 Pokémon GO fans may balk at the way Starhub is doing this National Day when they’re outside using mobile data, but think of it this way, 1GB is definitely more than enough for a day’s worth of Pokémon hunting, and if you have leftover data, you can use it for the rest of the month as well to fill up your Pokédex. 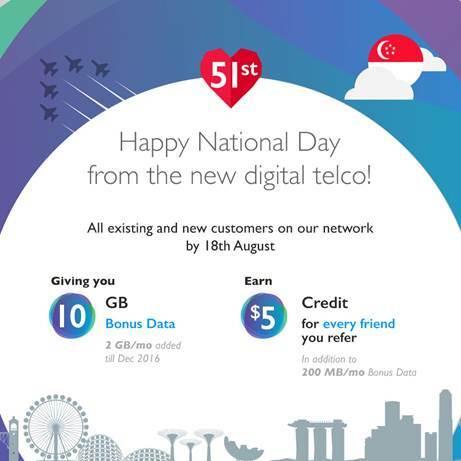 Newcomer to the local market, and 4th telco Circles.Life meanwhile, are busy using the coming National Day to increase their user base with some rather tantalizing promotions that are ongoing right now. If you are currently on the lookout to sign a new mobile contract, you may very well have a look at Singapore’s new ‘digital telco’. For new and existing customers, they will be offering an additional 10GB of bonus data, that will be spread monthly until December. New subscribers seeking to take advantage of this offer will have to make a decision rather quickly though as you have 10 days to decide as the promos will end on 18th August. 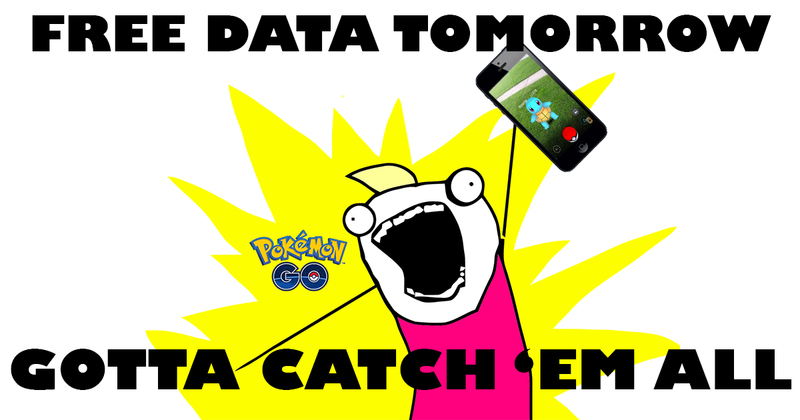 There you have it Pokémon GO fans, all of you will have some form of additional data to take advantage of tomorrow when the nation comes outdoors in full force to not just celebrate National Day, we’re gonna bet there’ll be a massive amounts of people too in red and white who will be in search of Pokémon, while they find a place to wait for the customary fireworks to erupt in our skies. Can’t Decide Between Pokémon GO Or National Day? Why Not Do Both With Razer’s Pokécrawl!